The U.S. presidential primaries and caucuses are held in the various states, the District of Columbia, and territories of the United States as a key part of the process of nominating candidates for election to the office of President of the United States. The U.S. presidential primary elections typically start in February and do not end until June. How many times do we have to vote for a new President of the United States, anyway? Why can't we just go to the polls once in November and be done with it? What's so important about the primaries? The U.S. Constitution doesn’t even mention political parties. Nor does it provide a method for choosing presidential candidates. It was not that the Founding Fathers did not anticipate political parties as they had known them in England would come along; they simply were not keen to seemingly sanction party politics and its many inherent ills by recognizing it in the nation’s Constitution. In fact, for the first confirmed official presidential primary was not held until 1920 in New Hampshire. Until then, presidential candidates were nominated solely by elite and influential party officials without any input from the American people. By the late 1800s, however, social activists of the Progressive Era began to object to the lack of transparency and public involvement in the political process. Thus, today’s system of state primary elections evolved as a way to give the people more power in the presidential nomination process. Today, some states hold only primaries, some hold only caucuses and others hold a combination of both. In some states, the primaries and caucuses are held separately be each party, while other states hold “open” primaries or caucuses in which members of all parties are allowed to participate. The primaries and caucuses start in late-January or early-February and are staggered state-by-state to end by mid-June before the general election in November. The state primaries or caucuses are not direct elections. Rather than choosing a specific person to run for president, they determine the number of delegates each party's national convention will receive from their respective state. These delegates then actually select their party’s the presidential nominee at the party’s national nominating convention. Especially after the 2016 presidential election, when Democratic Party candidate Hillary Clinton won the nomination over popular challenger Sen. Bernie Sanders, many rank-and-file Democrats argued that the party’s often-controversial “superdelegate” system circumvented, at least to an extent, the intent of the primary election process. Whether the Democratic Party leaders will decide to retain the superdelegate system or not remains to be seen. Now, on to why the presidential primaries are important. First, primary election campaigns are the main way voters get to know about all the candidates. After the national conventions, voters hear mainly about the platforms of exactly two candidates -- one Republican and one Democrat. During the primaries, however, voters get to hear from several Republican and Democratic candidates, plus the candidates of third parties. As media coverage focuses on the voters of each state during primary season, all the candidates are more likely to get some coverage. The primaries provide a nationwide stage for the free and open exchange of all ideas and opinions -- the foundation of the American form of participatory democracy. Secondly, the primaries play a key role in shaping the final platforms of the major candidates in the November election. Let's say a weaker candidate drops out of the race during the final weeks of the primaries. If that candidate succeeded in winning a substantial number of votes during the primaries, there is a very good chance that some aspects of his or her platform will be adopted by the party's chosen presidential candidate. Finally, and perhaps most importantly, the primary elections provide yet another avenue through which Americans can to take part in the process of choosing our own leaders. The interest generated by the presidential primaries moves many first-time voters to register and go to the polls. Indeed, in the 2016 presidential election cycle, more than 57.6 million people, or 28.5% of all estimated eligible voters, voted in the Republican and Democratic presidential primaries – just slightly less than the all-time record of 19.5% set in 2008 – according to a report by the Pew Research Center. 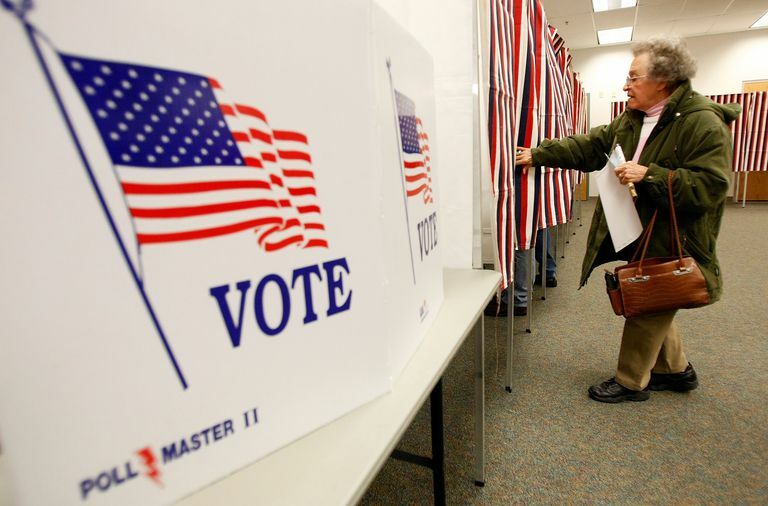 While some states have dropped their presidential primary elections due to cost or other factors, the primaries continue to be a vital and important part of America's democratic process. The first primary is held in New Hampshire during early February of election years. Taking pride in the notoriety and economic benefit of being the home of “First-In-The-Nation” presidential primary, New Hampshire has gone to great lengths to ensure it maintains its claim to the title. A state law enacted in 1920 requires that New Hampshire hold its primary “on the Tuesday at least seven days immediately preceding the date on which any other state shall hold a similar election.” While the Iowa caucuses are held before the New Hampshire primary, they are not considered a “similar election” and rarely draw the same level of media attention.